Thirteen (13) Year Anniversary of Shelterofglory as a church. 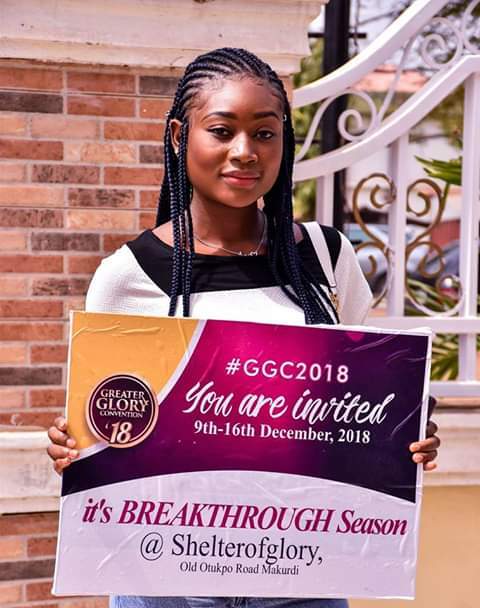 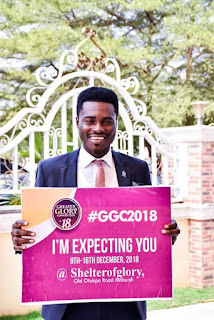 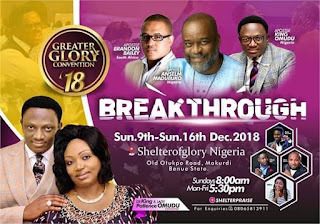 Shelterofglory is a ministry with the divine mandate for Glory Restoration to all mankind, founded in 2005 under the leadership of Dr King and Elect Lady Patience Omudu,with its headquarters in Makurdi, Benue State, a branch in Gboko and two in the city of Abuja ,Utako and Lugbe precisely. 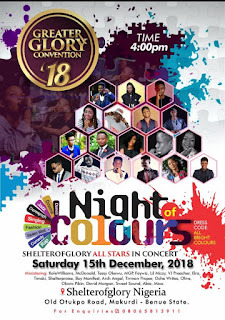 Also Ministering in music we have Adakole William, Olive Odije, ShelterPraise, Owie Abutu and Chris Ade and so much more. We also have Free transportation after all evening sessions to major parts of Makurdi Town. As part of the week long celebrations we have a concert on Saturday the 15th December 2018 featuring all Shelterofglory arts and acts in Music, Rap, Fashion, Drama, Dance and Food. 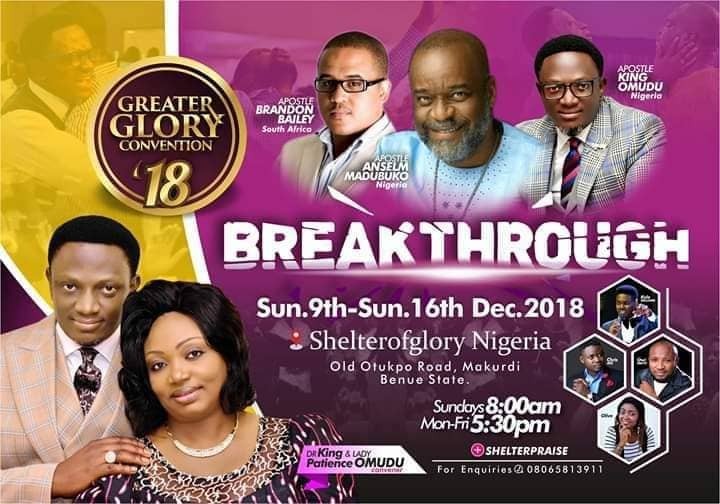 If you stay in Makurdi or its environs , mark your calendars! 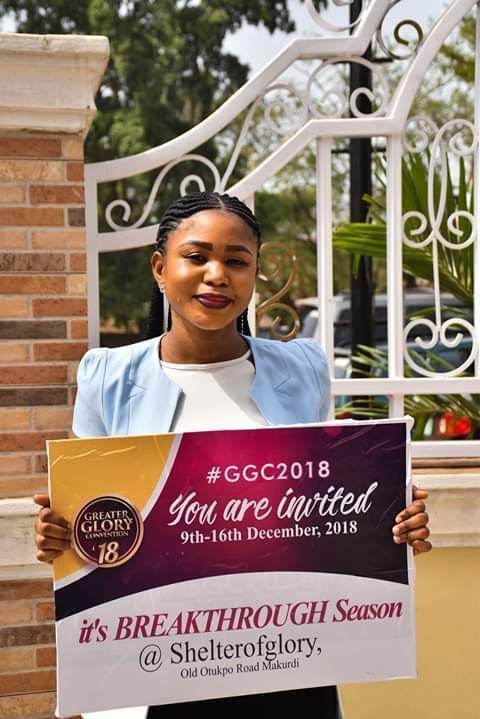 For our out of town visitors ,who would like to attend #GGC2018, please feel free to send us a message, if you need help with accommodation and transportation enquiries to Makurdi and within Makurdi Town. 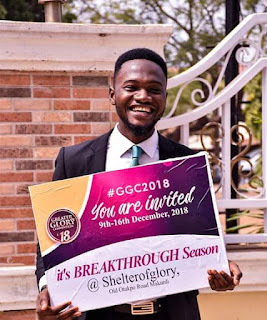 We are @shelterofglorynigeria on all social media platforms. We love you and we are expecting you.